ISLAMABAD, (UrduPoint / Pakistan Point News – 28th Jan, 2018 ):Food exports from the country witnessed an impressive growth of 16.81 during the first half of the current fiscal year compared to the corresponding period of last year. The food exports rose to $1,932,269 million during July-December (2017-18) against the exports of $1,654,245 million during July-December (2016-17), according to latest data of Pakistan Bureau of Statistics (PBS). The commodities that contributed in overall food trade from the country included rice exports of which grew by 18.32 percent from $712,832 million last year to $843,388 million during the current year. Among rice commodities, the exports of basmati rice increased by 4.52 percent while that of other rice commodities increased by 22.88 percent. The exports of fish and fish preparations from the country also increased by 9. 08 percent by growing from $183,446 million to $200,097 million while the exports of vegetables increased by 6.52 percent, from $58,871 million to $62,709 million. During the period under review, the tobacco exports from the country increased from $3,991 million to $20,625 million, showing growth of 416. 79 percent while the wheat exports witnessed increase of 100 percent percent by going up from zero exports to $0.045 million. Exports of oil, seeds, nuts and kernals increased by 10.35 percent from $20,243 million to $22,339 million while sugar exports also increased from zero exports last year to $181,209 million, showing 100 percent growth. Meanwhile, the food products that witnessed negative growth in trade included fruits, exports of which declined from $198,143 million to $180,288 million, showing 9.01 decline while the exports of leguminous vegetable (pulses) decreased by 100 percent . Exports of spics from the country also decreased from $37,478 million to $36,421 million, showing decrease of 2.82 million while the exports of meat and meat preparations decreased by 6.21 percent, from $104,401 million to $97,915 million. Other than these commodities, the exports of all other food products also witnessed decline of 14.08 percent by falling from $334,312 million last year to $287,233 million this year. Meanwhile, on year-on-year basis, the food exports from the country witnessed 31. 18 percent growth during the month of December 2017 compared to the same month of last year. The food exports during December 2017 were recorded at $439,285 million against the exports of $334,860 million last December, according to the PBS data. 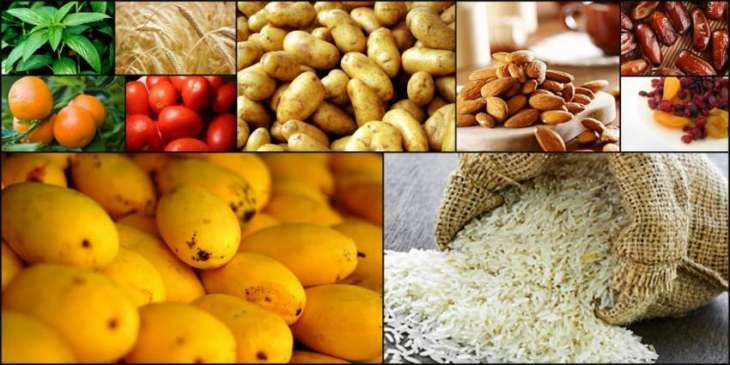 On month-on-month basis, the food exports from the country also witnessed increase of 4.92 percent in December 2017 when compared to the exports of $418,697 million in November 2017, the data revealed. © 2019 FOOD TECHNOLOGY. All Rights Reserved.